We are in Lima getting ready essential components for the first event in sports betting and online gaming in Peru – GOL EXPO PERU- at an exciting time when the process of legislation for this sector gets closer to completion in the country. Peru is going to be the second country in the region to regulate the Internet and mobile gaming, after Colombia, which is obtaining excellent results in this new sector. Our parent company Greata Limited is co-organizer of the Peruvian event jointly with 3A Producciones, organizers of the leading LatAm event FADJA Colombia, and we are all working hard to ensure that we bring the most advanced developments in Sports Betting and online gaming to date. In a couple of weeks, we are off to cover SAGSE Buenos Aires, and then return to Lima to open new markets with GOL EXPO PERU. See you all there! A senate commission in Chile met on 20 August to decide on slot machine bills, which in effect refer to gaming machines that operate outside the regulated casinos approved by law. In general, the Commission approved the idea of regulating these machines. This decision now will pass for debate in the Senate. The idea of regulating these high-street gaming machines is controversial because the introduction of casinos, under the country’s Gaming Act, brought investment of millions of dollars into the country. At the same time, concessions for the seven municipal casinos were made under conditions of large investment and tax contributions. According to figures released by Chile’s gaming regulator (SJC) from a cadastral study by the Universidad Catolica, in 2016 there were a total of 1,327 slots venues operating throughout Chile under municipal licences. A report by ‘Politica Online’ says “it’s a complicated decision”, that which awaits local Buenos Aires politicians in 2019. That is when the concession ends for the floating casinos anchored to the pier at Puerto Madero and owned by Spanish company Cirsa, whose President Manuel Lao very cunningly negotiated with government bodies in the last decade of the last century to operate the casino ship “Estrella de la Fortuna” and then dropped anchor in the commercial heart of the City of Buenos Aires. Years later Cirsa opened another floating casino. Essentially, Politica Online states that, ‘within the Cambiemos coalition, Elisa Carrió, Coalicion Civica’s leader is fiercely opposed to casino table games and slot machines, such as those operated by Cirsa in Puerto Madero’. The report further says: ‘The problem facing Horacio Rodríguez Larreta, head of government of the city of Buenos Aires, is that these games generate revenue of more than 150 million pesos per month and give work to some 2000 people, and this is an issue to address in times of austerity’. When Mauricio Macri took power as president of the Argentine Republic, he transferred control of casinos and slots operations to the City of Buenos Aires. The current administration immediately increased the gambling levy on the floating casinos from 20% to 30% of gross gaming revenue. After some token legal resistance, Cirsa accepted the tax increase because it has been a great business since the Argentine authorities enabled the vessels that had to cruise in “international waters“ to float anchored to Puerto Madero in the heart of the City of Buenos Aires, where the operation of casinos was not permitted. A few months back, Cirsa was bought by North American investment fund Blackstone but the sale did not include the Argentine operations, one of the most profitable for the Spaniards, who wish to continue cruising the Buenos Aires waters for another 15 or 20 years. However, today’s politicians prefer to go for just a 5 to 7-year contract. Le jeux sont faitfor the Buenos Aires floating casinos and it hasn’t been ruled out that some might think that enough was enough of the good fortune for the Spaniards and begin to angle for a public tender, like the one for the seven Buenos Aires provincial casinos, whose concessions are in the process of being sold. Gaming Laboratories International (GLI) welcomed more than 80 representatives from 33 government entities and 19 countries from Latin America, the Caribbean and Spain to its 11th Annual Latin American and Caribbean Regulators Roundtable. 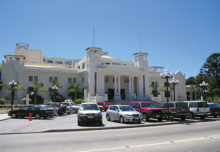 The three-day event took place in Lima, Peru, with the collaboration of the Dirección General de Juegos de Casinos y Máquinas Tragamonedas(DGJCMT), Peru´s gaming regulator. 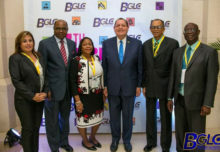 Presented by GLI University, the conference featured 28 speakers representing some of the most respected and brightest names in the Latin American, Caribbean, and Spanish gaming and lottery industries. These experts were joined by GLI’s President and CEO James Maida, and GLI´s global team of experts representing Latin America, the Caribbean, Europe, Australasia, and North America. RIVALO, the company of Austrian origin with operational headquarters in Malta and Curaçao, will be a Premium Sponsor of GOL EXPO PERU, the first specialized event in sports betting and online gaming to be held in Lima, which will take place at the María Angola Convention Centre in Miraflores, on 25-26 September. Utilizing their expansive logistics network, RIVALO is sending representatives to Lima to prepare the ground for their entry into the country. While their permit process is being authorized in Colombia, the global sports betting house continues to fine-tune its platform for release in the Peruvian market. Software engineers and mathematicians in Rivalo’s Bogotá offices are using the company’s specialized algorithms to offer the latest benefits for the South American betting market. GOL EXPO PERU is expanding the figures of participating companies in the event dedicated to the online gaming sector and already has many places sold, especially to established sports betting companies in Colombia that seek to make the quantitative leap and enter the Peruvian market.